Quincy University- BS Physical Education with emphasis on kinesiology and exercise science. Being involved in athletics my entire life, exercise and health started to become more than just what you read in a magazine or what you pull up on YouTube – it became a lifestyle. I always believed that athletics and being part of a team atmosphere can help you grow and develop in many different aspects of life. Sports played an intricate part in my life growing up – I played many sports throughout my childhood and continued to grow and develop as I got older. Baseball became my true passion and I played throughout high school and worked hard to continue playing in college, where I was a starting pitcher and scholarship athlete. Not only did athletics help me focus on my physical health, but playing sports also allowed me great success in the classroom. 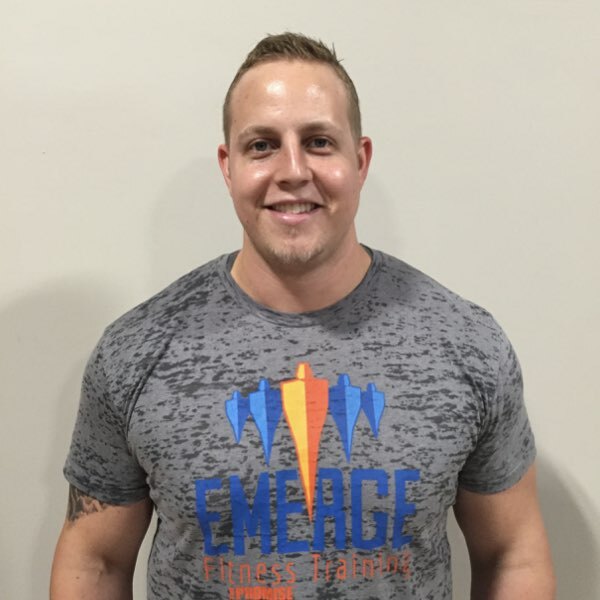 After graduating from Quincy University with a BS in Physical Education and an emphasis in kinesiology, exercise physiology, and athletic training, I started my journey as a personal trainer with 24 Hour Fitness in St. Louis. With 24 Hour Fitness, I moved through the ranks very fast and was a full-time trainer within my first three months. In 2012 I was the top trainer in the Midwest region. After having great success as a trainer I then turned my attention into management and became a Fitness Manager for 15 months, in which I was accepted into the CMT program (Club Manager in Training). I then was promoted again to Club Manager at the Arnold location. During my time being the Club manager I came to realize that I missed my passion for training, my reason for entering the Fitness industry in the first place, and I decided I wanted to get back into training one-on-one to help people accomplish anything they set their minds to. I also knew I wanted a change in environment and that I wanted to focus on a professional setting in Fitness Training with Emerge! My experience playing sports through the years sparked my interest in helping others accomplish a goal or change their life. Through personal training, I have been able to encourage many people over the years through accomplishing goals they had set out to achieve for years, sometimes their entire lives. I have serviced over 5,000 sessions from athletes to weight loss clients. Focusing on personal goals and achievements and living the values of a healthy lifestyle helps me get my clients to their goals, no matter if they have been working out for years or are just starting out. My main focus is to continue to push people to reach new heights in their personal day to day lives. No matter what goal they set, we can work together to accomplish anything!